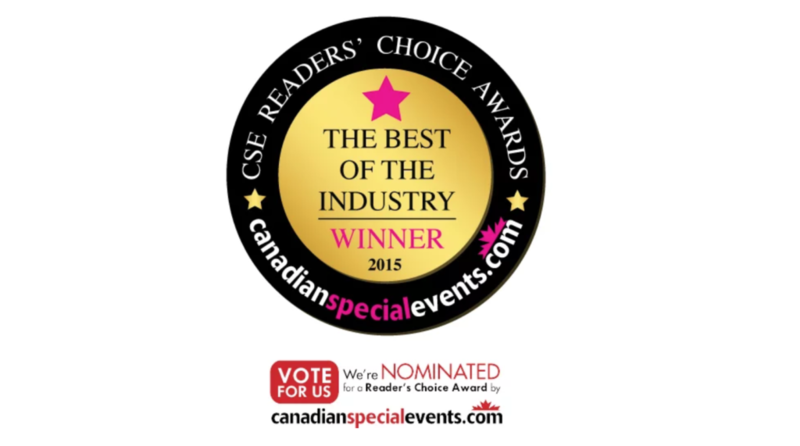 The 2015 Canadianspecialevents.com Readers’ Choice Awards are the only industry awards in Canada where the winners are chosen based on votes from their industry peers. This program, now in its 4th year, is run in conjunction with the Canadian Special Events Show and is a great opportunity for event professionals and suppliers to win bragging rights as the industry’s favorite supplier/planner in one of several categories listed. AGI Studio has just been selected as a finalist! Thank you so much for all the lovely clients, colleagues and friends who gave us the warmest nominations!